Banff is a resort town in the province of Alberta, located within Banff National Park. The peaks of Mt. Rundle and Mt. Cascade, part of the Rocky Mountains, dominate its skyline. 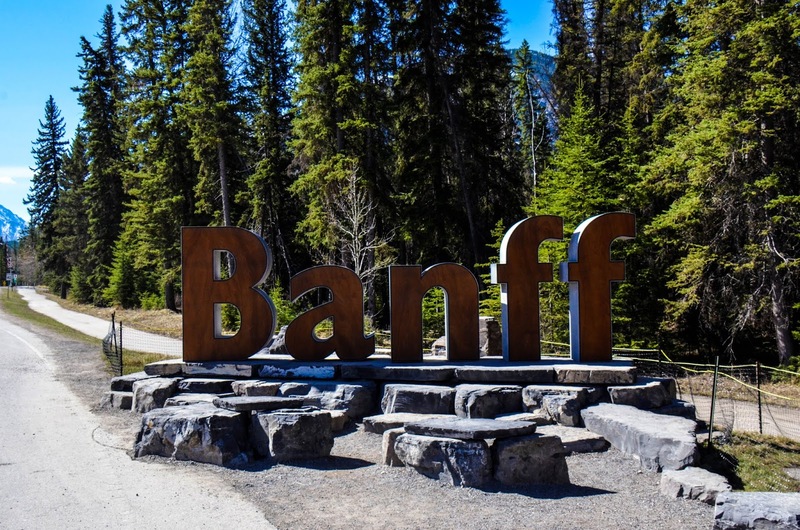 On Banff Avenue, the main thoroughfare, boutiques, and restaurants mix with château-style hotels and souvenir shops. The surrounding 6,500 square kilometers of parkland are home to wildlife including elk and grizzly bears. Local time: Tuesday 1:57 p.m. The Three Sisters are a trio of peaks near Canmore, Alberta, Canada. They are known individually as Big Sister (Faith), Middle Sister (Charity), and Little Sister (Hope). 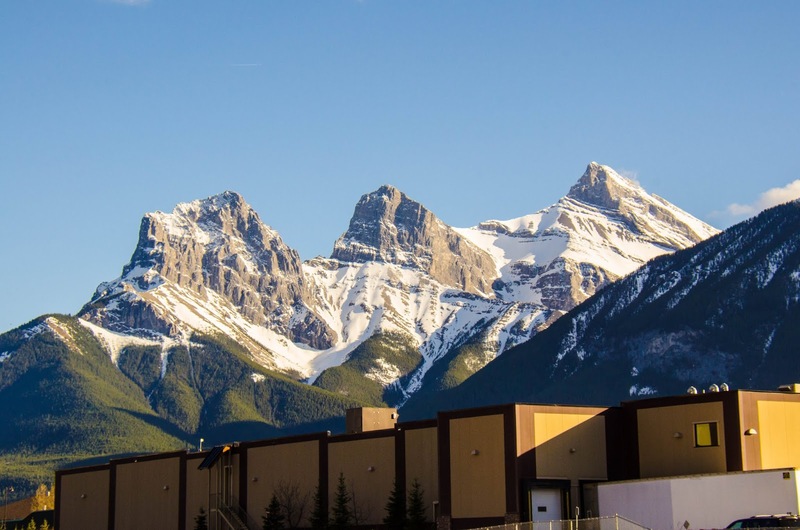 In the traditional language of the Îyârhe Nakoda (Stoney), the peaks are also referred to as the three sisters. However, the name refers to a story of Ĩ-ktomnĩ, the old man or trickster, who would promise "three sisters" in marriage whenever he was in trouble.